We got to sleep in this morning. Normally we have something planned every day, but since we added another day to the trip this year we had a leisurely Friday morning. After breakfast at the hotel, we hung out for a bit and watched some more March Madness NCAA tournament games (the three hour time difference with the east coast helped us there). 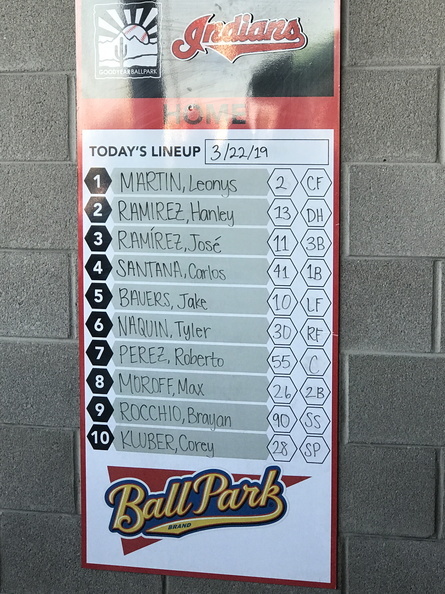 Then it was time to head our for our day/night double-header! 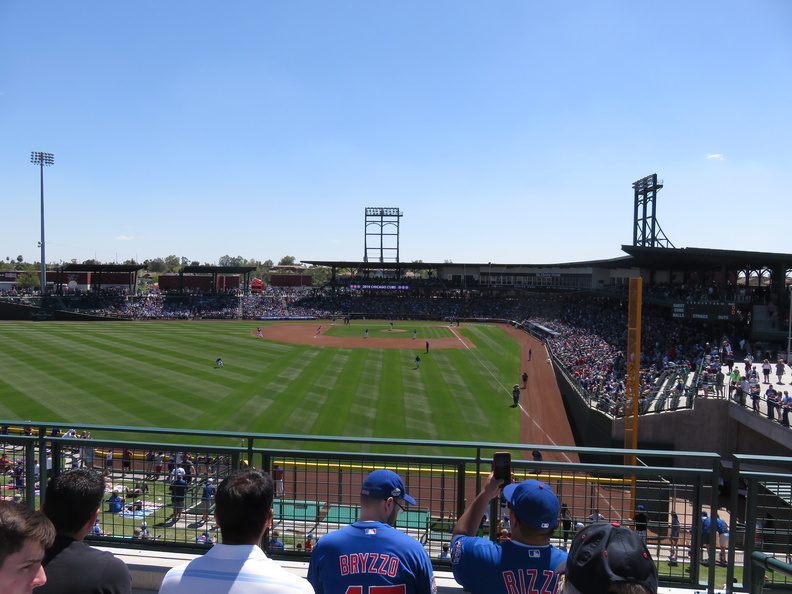 Our first game was also at a new stadium (for us): Sloan Park in Mesa, the new spring home of the Chicago Cubs. 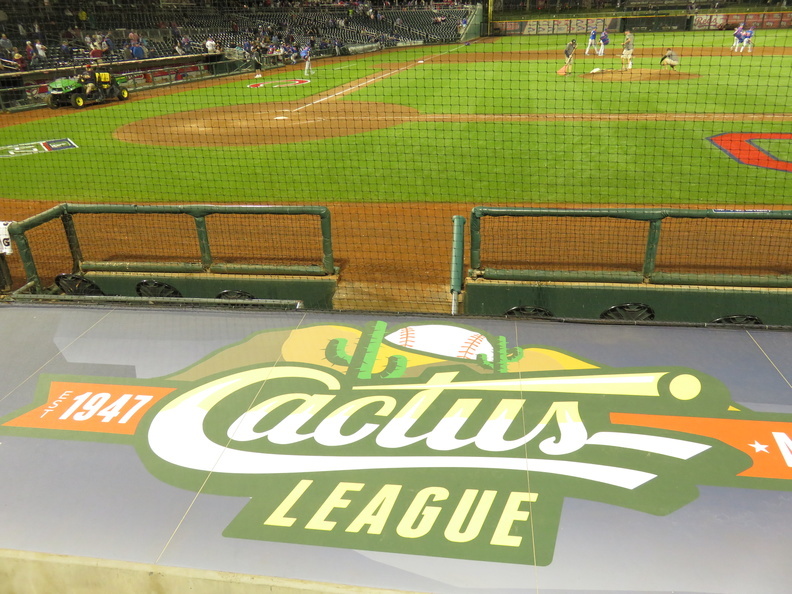 As with the other new facilities in the Cactus League, Sloan is a beautiful park. 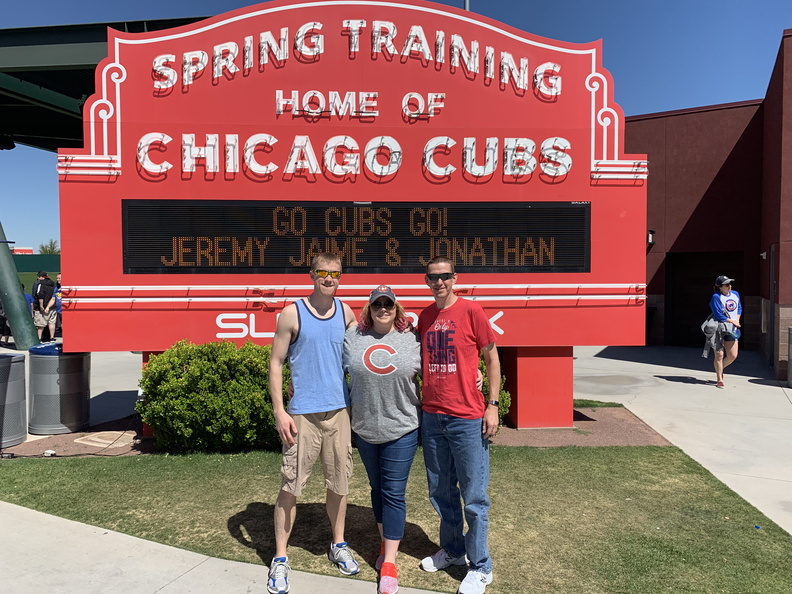 Unlike a lot of other teams in Arizona, the Cubs don’t share their park with anyone else so the the references to Chicago and Wrigley Field are everywhere, including a replica sign you can get your photo in front of with a customized marquee (I wanted to do “Save Ferris” 🙂 ). Our seats were on the Budweiser Rooftop which is meant to evoke the rooftop seating across from Wrigley Field. It was a cool area but because it’s like general admission there aren’t assigned seats. By the time we got up there all the cool seats and tables in the shade were taken so we ended up in the full-sun bleachers. 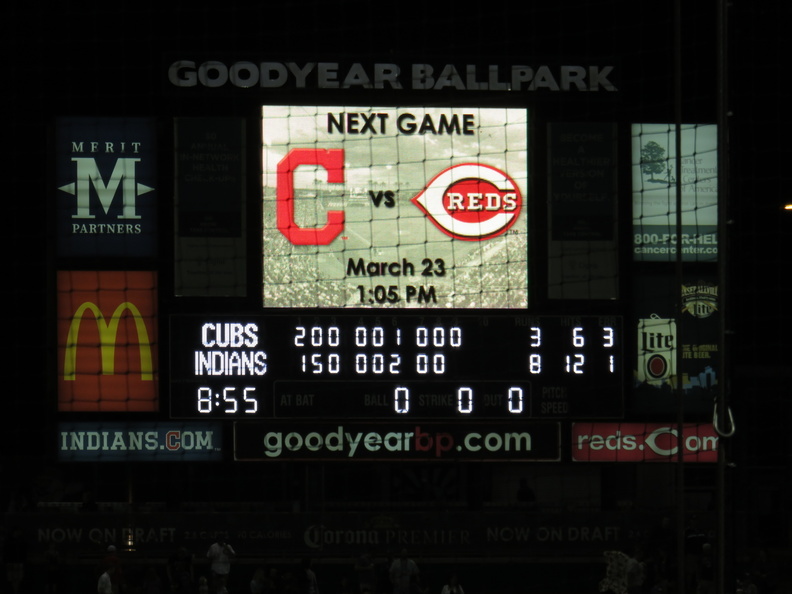 This wasn’t an Indians game though, just the Cubs and Rangers … we came specifically to see the new park and do the day/night double-header thing. My sister is a Cubs fan though (after the Indians, of course) since she lived in Chicago (and Wrigleyville) for a few years. Once again the home team was victorious and the Cubs won 7-3. 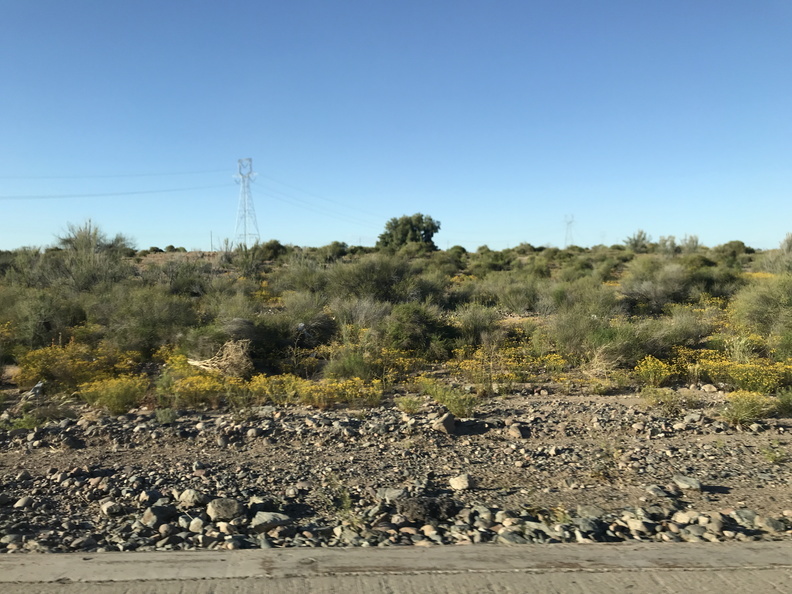 We had to get all the way from Mesa, on the east side of the valley, to Goodyear on the west side, on a Friday afternoon through Phoenix rush hour so we left the game a little early to start the trek. 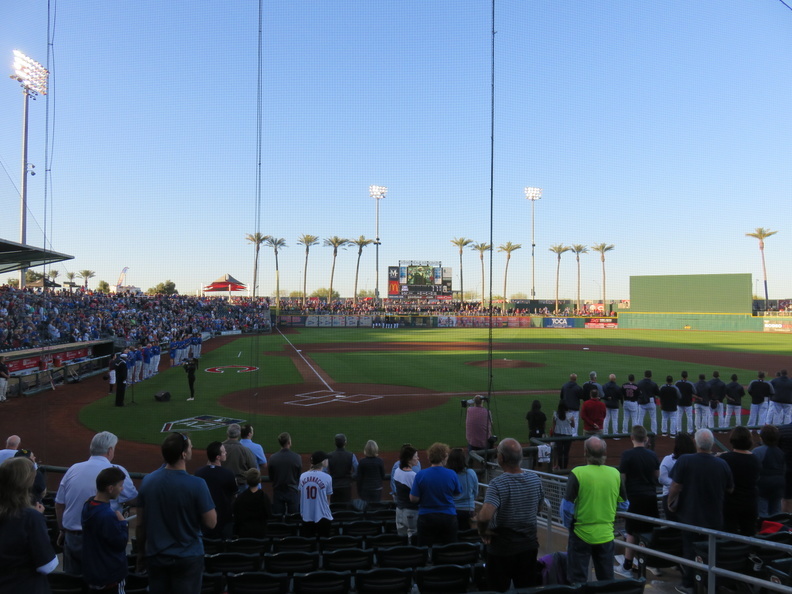 It took us a little over an hour taking mostly back roads to avoid the worst of the traffic, but we still made it to Goodyear in time for the night game: Indians vs. … the Cubs! 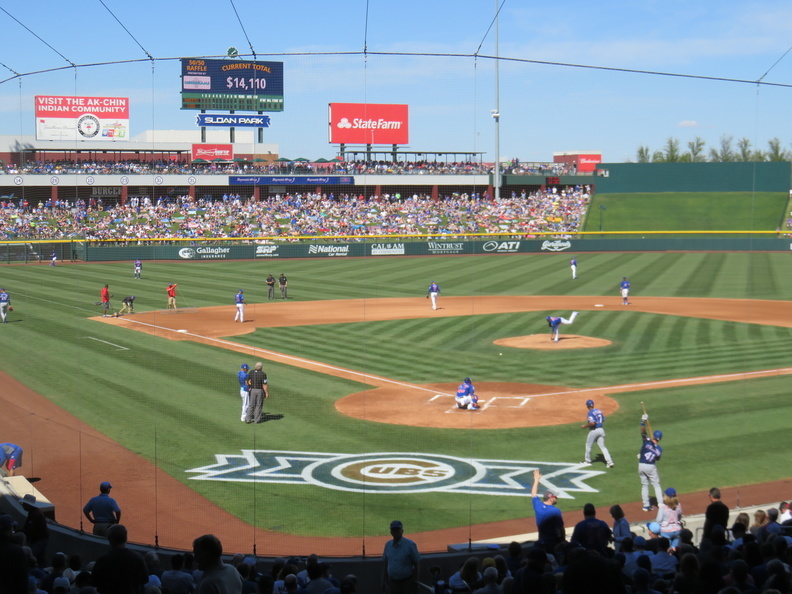 The last time we saw the Indians and Cubs play during Spring Training was our 2012 trip (and they were still in Hohokam, which is now used by the Oakland As). 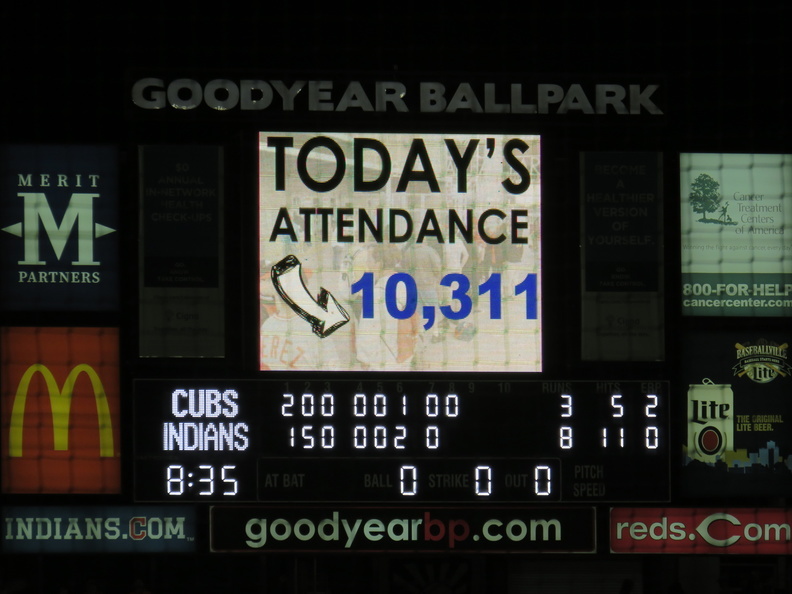 Since then, the Cubs won the World Series in 2016, beating the Indians in Game 7, so needless to say the game was a sellout (10,311 fans in attendance). This game was quite different from that fateful Game 7 as the Indians trounced the Cubbies 8-3. 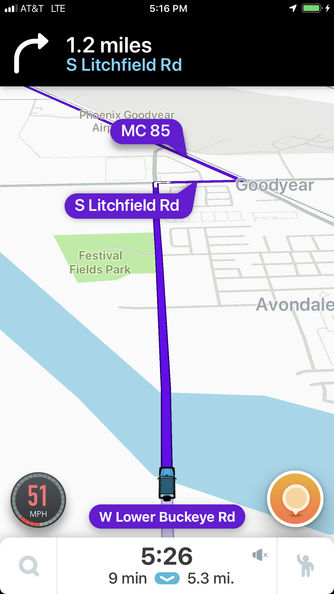 Once again, the home team was the winner (sensing a pattern here?). After the game we drove back to our hotel and then watched a little more basketball before bedtime. One more game tomorrow! 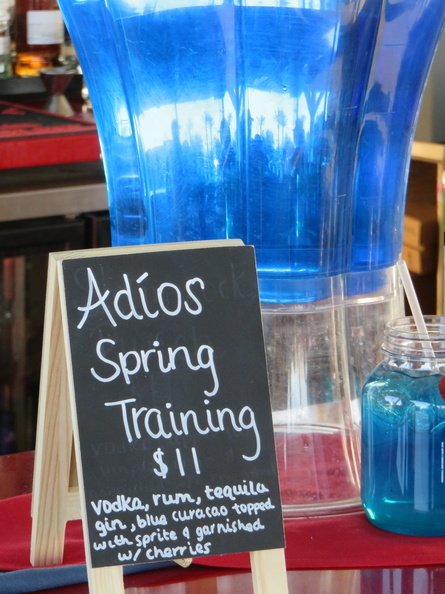 this was a STRONG drink! final score, Indians beat the Cubbies!